In January 2019, Microsoft will stop supporting Windows 7. 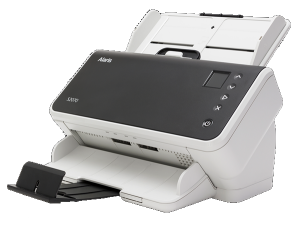 Your i600 Series Kodak Scanner will NOT work with Windows 10. Call us about a trade-in before that happens! 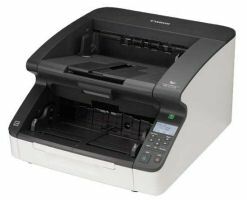 Exceptional dependability, speed and image quality: Loaded with high-value features, this is one tough machine that’s built for serious scanning. Five output options: Meet essentially every application need. Choose color, bitonal, grayscale, simultaneous bitonal and grayscale, or simultaneous bitonal and color. Perfect Page Scanning with iThresholding: Delivers clean, crisp images at full speed, which reduces pre-sorting, re-scans and post-image processing. SurePath paper handling: The i600 Series is virtually jam-free and damage-free because it’s designed for smooth paper transport from input to output. VRS READY: Offers more options and convenience. Relative cropping: Lets you scan just one area of a document, saving file space and improving OCR read rates. Toggle patch: Instantly switch between bitonal and color scanning, or bitonal and grayscale scanning, as many times as needed, simply by scanning a unique patch code. Dual Xenon lamps: Two long-lasting, mercury-free Xenon lamps give you maximum illumination to help eliminate shadows from wrinkled documents. Bundled ISIS & TWAIN drivers: For trouble-free system integration so you can start scanning the minute you plug it in. Standard IEEE-1394 (FIREWIRE) interface: This fast, industry-standard interface speeds images to your host PC. And we also include the IEEE-1394 card and cable for your convenience. Easy-to-change rollers and feed modules. Easy cleaning and maintenance: Our enclosed camera design, along with special vents and filters, keeps dust out of the imaging path. Total access to the paper path allows for easy upkeep. Quiet operation: So quiet you can hear the thoughts of the guy in the next office. Small footprint: Big scanning volume, small size. Its desktop design means it fits just about anywhere. The latest in ultrasonic multi-feed detection: Three ultrasonic sensors flag multi-feeds, so you can capture and image every document. 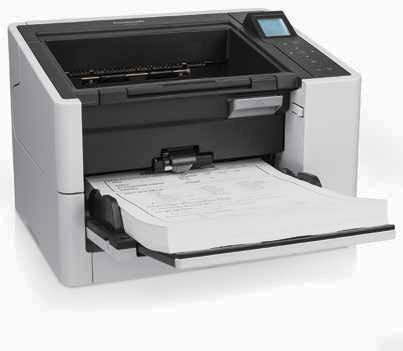 Document imprinter: Pre-scan document imprinting capability is included with every model. White Imaging Background: Allows you to easily change the imaging background from black to white to maximize your imaging options. Ultra-Lightweight Feed Module: Snap it in and feed even the thinnest documents with confidence.